The CDI550 ran both discs without any problems. While the laser movements get very loud during/after the intro movie, the game starts just fine. CDI450 (original disc): The laser gets crazy while loading the intro movie and also after skipping it. Then it just goes to a black screen (as reported), with the laser still moving and trying to focus. CDI450 (copied disc): It doesn’t read the burned copy at all (‘no disc’ error). After adjustment of potentiometer at the back of the laser pickup (I turned it all the way up), it finally goes to the world map of the original disc, but stops there with ‘dirty disc’ message. Now it also reads the copied disc but stops again after skipping the intro movie with a black screen. Additional CD tests in the service shell. To boot into the service shell insert a dummy plug into the controller port (or short pins 2 and 3) and turn on the player. Remove test plug and insert a mouse (or trackball) when the service shell is displayed. CDI550 is fine, all tests completed. CDI450 first try: Passes the ‘in focus’ test but returns a motor error afterwards. After a couple of tries it sometimes passes the tests and sometimes doesn’t, regardless of the inserted disc. I stopped the tests after that because I didn’t have any new/working laser pickup for my CDI450 at hand and also didn’t want to take apart my CDI550. Because I got sidetracked by all those laser problems, my preliminary conclusion was: This is a laser problem. An old, burnt out laser cannot get back into focus after the intro movie. 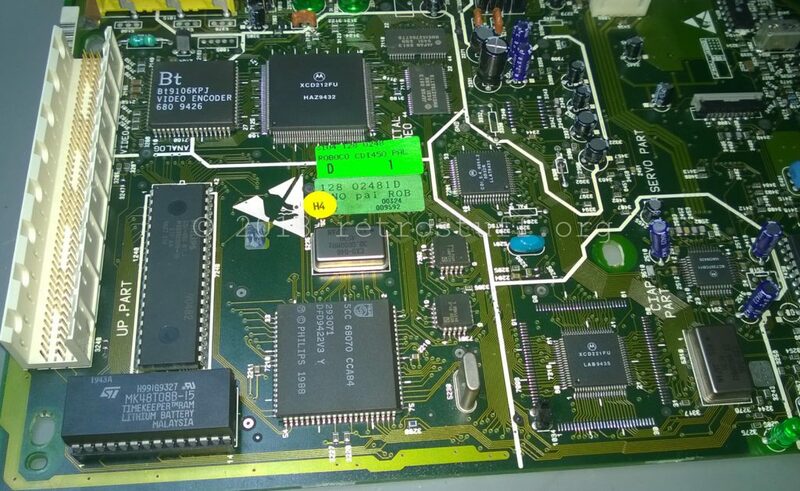 While putting the CDI450 together, I noticed that I totally forgot about the TimeKeeper. Of course, this unit was broken and was just kept for spare parts, so why should it contain a working TimeKeeper? I swapped it immediately with a working chip, and suddenly both discs started right into the game (world map), as if there never was a problem before. The laser movement was still very noisy, by the way, so it’ll probably die soon. To my amazement, the games still worked after I switched back to the broken TimeKeeper. I must’ve unintentionally started the clock when checking the player date/time settings after reassembling the unit. This is how it works: Power on the CD-i player and enter the date/time settings. The year ’89 is a good indicator that the TimeKeeper is broken. Now advance a couple of years and exit the settings screen. That’ll start the clock again. The fix will work until the external power is lost. 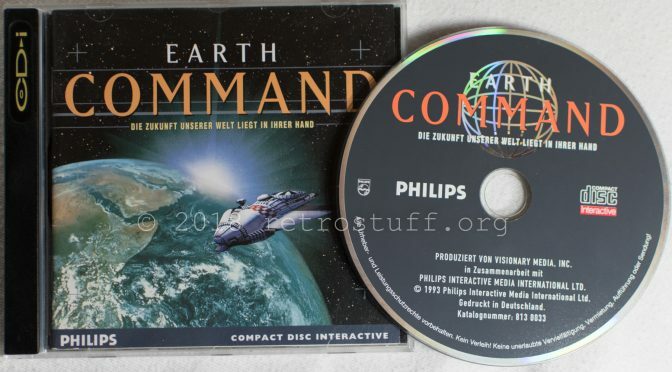 Of course, you won’t be able to save anything to the internal memory, but Earth Command doesn’t even need to do that.